Can Bollywood dance help South Asians in the United States manage type 2 diabetes? Amlu Natesan, a UC Berkeley-UCSF Joint Medical Program student, is partnering with the Palo Alto Medical Foundation Research Institute (PAMFRI) and the India Community Center (ICC) to pilot an innovative exercise program to help with diabetes care. In comparison to all other racial and ethnic groups, South Asians in the United States have one of the highest rates of type 2 diabetes. For this group, encouraging lifestyle changes, such as increasing exercise and making healthier eating choices, are an essential part of diabetes care. 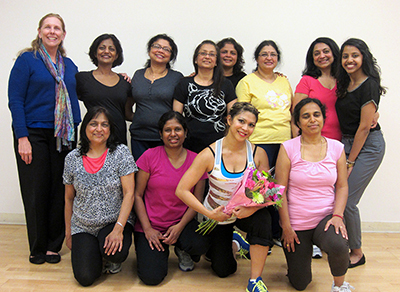 The Culturally Relevant Exercise for Type 2 Diabetes (CURE-D) study is piloting the Bollywood program in an effort to motivate and engage South Asian women in exercise. "Growing up as an active member of the South Asian Bay Area community, I witnessed the high rates of diabetes first hand,” says Natesan. “After reflecting on how to motivate this population to be more active, I drew upon my own positive experiences as a dancer to create a management solution." 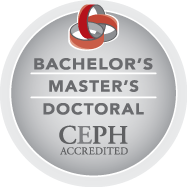 The CURE-D study’s dance intervention has been well received by the first cohort of patients. Participants have been extremely engaged in the program and have highlighted positive aspects of the including the energy of the ICC instructor Shelly Rojas, the vibrant music, and the sense of community among the diabetic, South Asian participants. 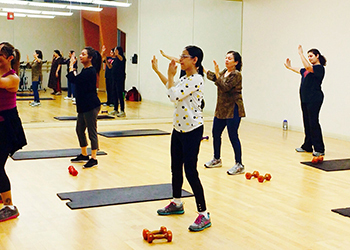 The CURE-D study has helped demonstrate that culturally tailored programs can engage and increase exercise among South Asian women. Researchers are currently analyzing the diabetes outcomes measurements and are looking forward to using these results to develop future tailored interventions for diverse patient populations.